Modern fuel filters can't be cleaned, they have to be replaced. Knowing how to change a fuel filter is just another type of routine vehicle maintenance anybody who is interested in cars can perform. But before we get into the nuts of bolts of changing the fuel filter, let’s talk about what it does, how long they last, and where the fuel filter can be found on most cars. You probably know what air filters and oil filters are and how they work. It’s also like the air conditioner filter for your home, it becomes clogged and dirty over time. In the same way, filters on vehicles also become filled with dirt and become restricted after so much use. Eventually they get so dirty that they will impede the flow of whatever they are supposed to be cleaning. A dirty filter is not an unusual problem to have, but it is something you need to take care of before it becomes a bigger problem. Why Does My Car Have a Fuel Filter? Contrary to what we’d like to believe, the gasoline we buy is not sterile and free from impurities. Dust, dirt and water get pumped into our vehicle’s fuel tank. Then this stuff gets sent to the engine, where that foreign matter can do some serious and expensive damage. To prevent that from happening, cars have a small fuel filter, about the size of a soup can, that strains out and holds all that debris. A filter the size of a small soup can is not able to hold very much debris. Just like most oil filters are sealed units and can’t be cleaned, modern fuel filters can’t be opened and cleaned either. They have to be replaced. 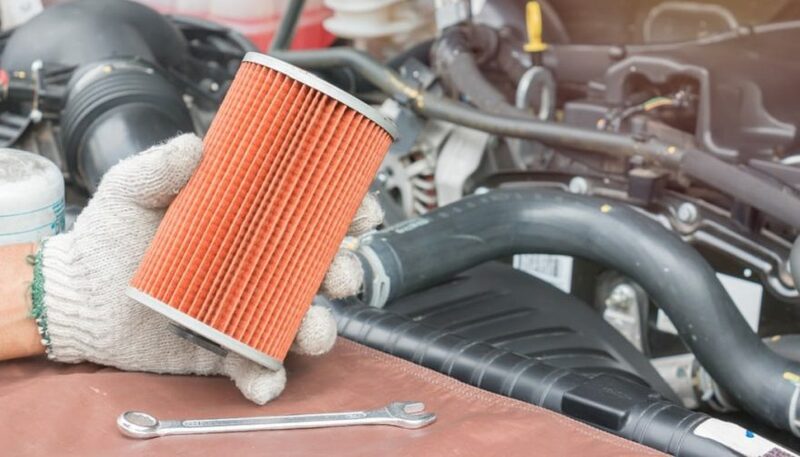 Back in the day when cars needed a tune-up every 30,000 miles, replacing the fuel filter was a part of that routine maintenance, which was typically done every two years or so. Fuel isn’t any cleaner nowadays, but cars go much longer between tune ups. Your owner’s manual might recommend a tune up and replacement of the fuel filter every 100,000 miles. But that might not be often enough. Many professional technicians replace their vehicle’s fuel filters on the old, proven schedule of every two years. It’s a cheap, fast and easy precaution to take against car trouble. It will be located between the fuel tank and the engine. So, if your fuel tank is in the rear of the car, and the engine is in the front, the fuel filter will be located in a somewhat accessible location between those two places. It just makes sense. For cars with fuel injection, which is almost every car made from the mid-’80s to now, the fuel filter is typically found mounted under the car, away from the hot exhaust system. Again, that just makes sense. Your owner’s manual will tell you what it looks like and where you can find it. Or you could simply buy a new filter, usually less than $20, and then look for a similar shaped part under your car. How Do I Replace the Fuel Filter? This is where the fun starts. The filter will be attached to your car’s chassis by a simple clamp and bolt assembly. Normal hand tools will loosen the clamp. But the fuel lines themselves, one from the tank (to the filter’s inlet side) and another one leading to the engine (from the filter’s outlet side) will have special high-pressure fittings. That’s because fuel injection systems require fuel to be fed to them at very high pressure. Typically, the fuel pressure in the lines and filter with the engine running will be from 30 PSI to 60 PSI. How much pressure is that? Consider that your tires run at about 30 PSI, and then imagine how much pressure the gasoline is under. A lot. Yes, you do need special tools to remove the fuel lines from the fuel filter. Relax, because the tools are very inexpensive. Remember, this is routine maintenance. Each manufacturer has their own favorite type of fuel line-to-filter connections. Flare nut fittings are popular, and they look like ordinary open-ended wrenches will work on them. They won’t. You need special flare nut wrenches to avoid rounding off the flare nuts on the fuel lines. Buy the wrenches at the parts store along with some anti-seize compound to apply to the fitting threads on reassembly. That will prevent the steel flare nuts from seizing on to the aluminum filter bodies after they have been on for several years. Other manufacturers use snap rings to hold the fuel lines on to the filter, but the rings are not easily visible. The removal tools, again very inexpensive, look like a small sleeve cut into two pieces. You insert the tool into the filter, and should hear a snap sound as the snap rings release. Spray some WD-40 into the snap rings before you try to break them loose. Other manufacturers use plastic tabs to hold the lines on. Just squeeze the tabs and gently wiggle and pull the lines off the filter. Regardless of which type of connections your car has, it is always a good idea to watch a couple of YouTube videos on it first. Cars that have carburetors, like your resto-mod, will have their fuel filters located in the engine compartment, readily visible and easily accessible, close to the carburetor. No special tools are needed. Just loosen the hose clamps, unscrew the filter as necessary, and install the new filter with new neoprene fuel line connections. Often the new filter will come with new clamps and a short piece of neoprene hose. Use the new parts, discard the old ones. Any Safety Precautions I Should Know About? Yes, since you will be working with gasoline, and there will be some residual pressure in the fuel lines. Don’t smoke. That’s pretty good advice all around, but especially good if you’re trying to be safe working on your car. Be aware that you will likely spill some gasoline, and if you drop a wrench in a puddle of it, and that wrench makes a spark, trouble will follow. Rare, but it’s possible. Remove the fuel tank cap before you begin. That lets any pressure in the tank escape, so gas won’t be forced out of the fuel lines under pressure. 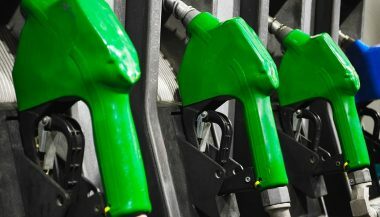 As it is, fuel will siphon out of the fuel tank quite rapidly once you disconnect the fuel lines, because the filter is located lower than the fuel tank. You have to work quickly to avoid a really big spill. Keep a lot of rags handy. Before you remove the old filter, note that the new one will have the words “inlet” and “outlet” stamped on them. That helps you install the new filter facing in the right direction. Otherwise, if you install it backwards, fuel won’t flow well through it. Make sure the key is out of the ignition before you begin work. 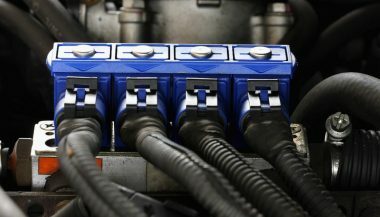 If someone accidentally turns it on, like to play the stereo, the fuel pump will activate and start pumping gasoline out of the open fuel lines at an alarming rate. Yelling and screaming will immediately follow along with polite instructions to please turn the key back off. Better yet, put the key in your pocket before you begin. After you calm down, and have the new filter safely installed, start the engine and let it idle. Observe the filter for a few minutes to ensure it doesn’t leak or that a fuel line snap ring doesn’t pop loose. Finally, use a black marker to write the date and mileage on your new filter. That’s for the oil change people to see, so they don’t recommend a fuel filter replacement every time you have the oil changed. For that matter, you could simply let them replace the fuel filter every two years or so. It might save your car from some bigger problems on down the road. Your Car Failed Its Emissions Test. Here’s Why. 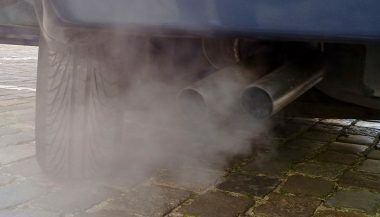 While there are many potential reasons for a car to fail its emissions test, the cars that fail usually do so for one of three basic reasons. 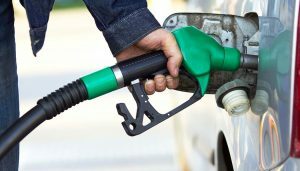 Drop in fuel prices has spurred a boost in sales of less fuel-efficient vehicles that have been known to add to the harmful gases that drive global warming.